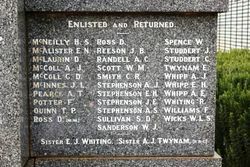 The monument was originally erected to commemorate those who served in World War One. 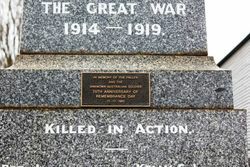 A plaque was added in 1993 to commemorate the 75th anniversary of Remembrance Day in memory of the fallen and the Unknown Australian Soldier. 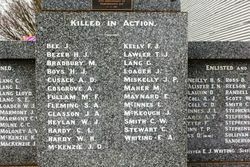 In June 1921 a newspaper reported that site and design had been approved but there was indignation among the residents at the way in which the memorial was being "humbugged" and they urged the Minister for Education to take responsibility and put the work in hand. A later report in the same newspaper said that there had been a misunderstanding. 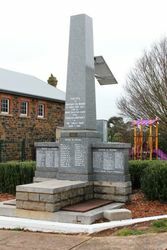 Several designs had been submitted but couldn't be accepted by the Public Monuments Advisory Board. 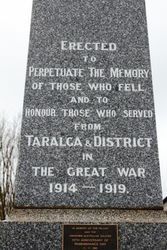 The Minister for Education and Mr. John Sulman, Chairman of the Public Monuments Advisory Board, visited Taralga in August 1921 in connection with the memorial. At a meeting a plan that had been designed free of charge by Mr. Sulman was selected. 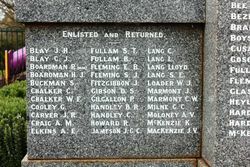 The memorial was unveiled on the 8th January 1923. 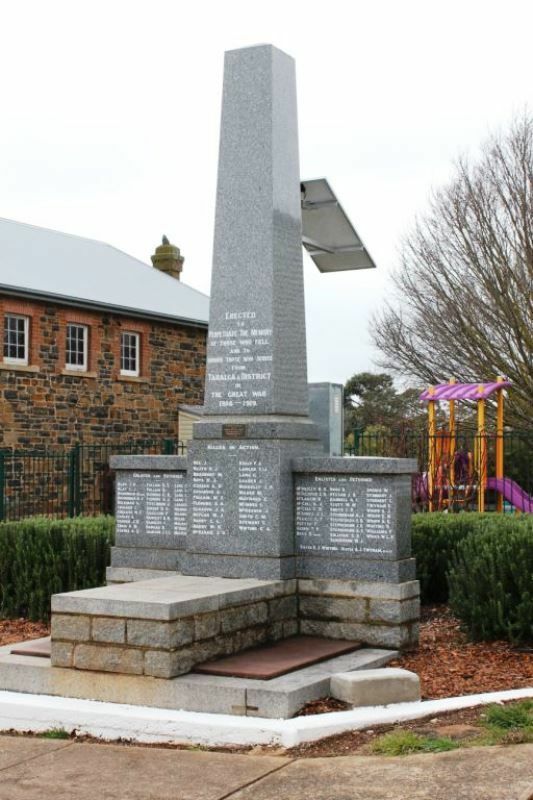 A polished grey granite obelisk with two polished granite wing walls.